The College’s complete Child Protection Policy is available at the school administration. Parents and students may have access to this policy at any time. You may also make an appointment to discuss the policy with the Head of College if you wish to clarify any matters. Assessment is on-going and regular, with Parent/Teacher interviews planned at various stages of the year. (See school calendar). Formal written reports will be issued at the end of each Semester and will provide a summary of the progress of the student. Informal reporting will occur throughout the year through comments and suggestions on assignments, projects or homework. Parents are encouraged to communicate with class teachers if there are concerns or problems. Communication between parents and teachers can be greatly enhanced by the use of email. All Primary children are expected to learn memory verses, review tables and spelling and read aloud to parents. Homework should not be an imposition, and if you have concerns, please contact your class/subject teacher. Failure to adequately complete homework tasks by children in Years 7 to 12 will adversely affect their final results. Parents will be contacted in the event of continued failure by their children to complete homework tasks. Parents are expected to monitor homework by regularly viewing and signing your child’s Student Diary. Teachers of secondary students offer tutorials in some subjects during lunch breaks and also after school hours, by arrangement. The College will encourage students to respect the behaviour code. Students who disrupt classes, breach school rules and/or display disrespectful behaviour will be dealt with according to the behaviour management policy. Students will be transitioned through progressive levels of consequences if wrong behaviours continue, which may include detention, suspension, or in the case of incidents involving serious breaches of behaviour may require immediate removal of students by parents or guardians. Any process involving suspension or exclusion will involve interaction with parents. In the event of exclusion from Mueller College, parents will forfeit their holding deposit. The Head of College is the final arbiter on matters of behaviour management. It is our desire that regular communication between the College and home is considered to be of great importance. To accomplish this, weekly newsletters will be sent home. Parents are encouraged to contact the school for any information or general communication. The Principals may not always be available, so please telephone to make appointments. Teachers are only available for calls during non-teaching periods. Appointments must be made for interviews through the Office. Please remember teachers are better contacted during lunch hours or immediately after school. The use of email for communication is encouraged. Student absences must be explained by a note from parent/guardian. Please advise the College of change of address and/or personal details. This information is important, so parents can be contacted in the event of an accident, etc. Mueller College welcomes suggestions and comments from parents and takes seriously complaints and concerns that may be raised. The College will endeavour to ensure that concerns are dealt with speedily and those who have raised them are kept informed about progress. If a parent has a grievance concerning a student matter or the child’s teacher, in the first instance, please discuss the issue with the teacher. If the problem is not resolved then please contact the relevant Head of Sub School; failing that, contact the Head of College. Parents or guardians must telephone the school and leave a message (see number below) on the day the student is absent, giving a reason. On return to school the student should bring a note from the parent or guardian and give it to the form teacher during form class. It is very important for notes and Doctors’ certificates, where appropriate, to be supplied for absences involving Years 11 and 12 students as assessment consideration can be given in extenuating circumstances. ALL students must report to Student Services N Block, where the roll will be amended. A late slip will be provided and is to be given to the class teacher. If a student is being taken home early, parents should sign the student out at Student Services N Block. If students are sick it is advisable to keep them at home. Parents will be contacted by the school to collect students who exhibit signs of illness during the day. First Aid may be provided at school. In the cases of serious injury or illness parents will be requested to take students to a doctor or to hospital by ambulance if necessary. Where there is an emergency, the school will arrange for an ambulance to attend the scene, and if necessary the ambulance will take the student to hospital. Chicken Pox Exclude until all blisters have dried. This is usually at least five days after the rash first appeared in nonimmunised children, and less in immunised children. School Sores (Impetigo) Exclude case until has received appropriate antibiotics for at least 24 hours. Sores are not contagious if covered, or after the child has taken antibiotics for 24 hours. Weeping or crusted sores on exposed areas should always be covered with a watertight dressing until at least 24 hours post antibiotics commenced and for as long as practical. Whooping Cough (pertussis) Exclude until five days after starting appropriate antibiotic treatment, or for 21 days from onset of coughing. For security and Workplace Health and Safety reasons, all visitors to the school must first report to the main College Reception. After permission is obtained a register detailing the name and reason for the visit must be signed. A visitor badge will be issued and returned to the Office before leaving the school. Students are encouraged to make friends and be friendly to others. However, we have a “hands-off”, “lips-off” policy which precludes outward displays of affection between students while in attendance at school or travelling to and from school. By definition bullying is repeated oppression, psychological or physical, of a less powerful person or group by a more powerful person or group of persons. It may be manifested in many ways e.g. harassment (verbal, sexual or psychological), victimisation, alienation, coercion, intimidation, exclusion, ostracism, discrimination. Bullying results in hurt, fear, loss of self-esteem and decreased social effectiveness for the victim. An environment that nurtures and promotes student self-esteem and self confidence. The following steps are a guide to dealing with reports of bullying. The staff member who has been approached will act immediately to ensure student safety. It is never acceptable to turn a blind eye to bullying. A clear account of the incident should be recorded and given to the Head of College or delegate. The Head of College or delegate will then work through the school’s Bullying Prevention Policy. providing encouragement to form and maintain friendships with non-bullying students. enlisting the support of parents/caregivers to help change the behaviour and attitude of the student, where appropriate. The box outside D25 (Secondary). These items are not permitted and will be confiscated and returned at a later date. All student mobile phones must be handed in to Student Services N Block (secondary) or Primary Admin (A16) at start of school day and collected at the end of the day. The school accepts no responsibility for students who lose or have their mobile phones stolen while travelling to and from school. It should be noted that it is a criminal offence to use mobile phones to menace, harass or offend another person. Students who use their phones to engage in personal attacks, harass another person, or post private information about another person using SMS messages, taking or sending photos or objectionable images or bullying other students, or who use vulgar, derogatory or obscene language while using a mobile phone will have their phones confiscated for a period decided by the Head of College. Students should note that, in extreme cases, the school may consider it appropriate to involve the police. Students found in possession of a mobile phone during school hours will face disciplinary action and confiscation of the phone. Students should not phone parents or guardians requesting to go home or be picked up from school. Such requests should be made through staff at Student Services N Block. It is a condition of enrolment or continued enrolment at Mueller College that students adhere to the following boundaries in regard to computer use of social networking sites and electronic media:- Students must demonstrate respect to others and their school. Students must not make any comment on social networking sites (whether the profile or user-generated content is identifiably theirs or belonging to someone else) or any other digital media including email that targets any Mueller College student or staff person with perceived negative intent, or undermines the name and/or good work of the school. Myspace, Facebook, Youtube, Twitter, email, Bebo, MSN, text messaging, all mobile content – all texting and mobile transmission of photos, as well as mobile platforms of social networking sites. Students must not bring large sums of money or other items of value to school. If, however, it is necessary, any money or valuable item(s) should be left in safekeeping with Student Services N Block or at the main office Reception. They can be collected at the end of the school day. The school accepts no responsibility for loss of money and/or valuables or damage to same. The School from time to time discloses personal and sensitive information to others for administrative and educational purposes, including to facilitate the transfer of a pupil to another school. This includes to other schools, government departments, medical practitioners, and people providing services to the School, including specialist visiting teachers, coaches, volunteers and counsellors. Generally the School does not store personal information in the ‘cloud’ – which means that it resides on off-site servers. There are limited occasions when cloud storage may involve servers situated outside Australia, in which case appropriate data handling and security arrangements are in place – as required in Australia. As you may know the School from time to time engages in fundraising activities. Information received from you may be used to make an appeal to you. It may also be disclosed to organisations that assist in the School’s fundraising activities solely for that purpose. We will not disclose your personal information to third parties for their own marketing purposes without your consent. Provision is also made for individuals to opt-out from direct marketing. 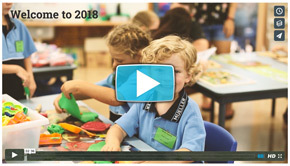 On occasions information such as academic and sporting achievements, pupil activities such as school camps and excursions and similar news is published in School newsletters, magazines and through our online media channels. This may include photographs and video clips. We may include pupils’ and pupils’ parents’ contact details in a class list and School directory. co-operate with any reasonable policy or procedure relating to health or safety at the workplace that has been notified to workers. School Crossing Supervisors are employed by the Transport Department. The supervisors for Mueller College work the crossing in the mornings from 7:45am to 8:45am and in the afternoons from 3:00pm to 3:30pm. All students and parents crossing Morris Road are asked to use the crossing at these times. When the Supervisor has placed the “Children Crossing” signs, pedestrians are to wait behind the yellow line until the Supervisor is in place in the middle of the road with the STOP sign and blows the whistle. When the whistle blows pedestrians are to cross between the red and white poles. When the signs are taken down the Supervisor can no longer allow pedestrians to cross under his/her supervision. Motorists parking or setting down or picking up passengers PLEASE DO NOT USE the “No Standing” zones. Bus zones must be kept clear at all times. The Morris Road speed limit is 40 kph at all times. The College is a Sun Smart Accredited School. All students are required to wear suitable sun protective hats (as per section on School Uniforms) and sunscreen for all outdoor activities for all seasons, including winter. Sunscreen is provided by the College and kept in classrooms, sports kits and buses. Where possible, events are organised outside peak UV radiation periods. Swimming carnivals are held either in the evening or in covered venues. Sun protection issues are included in the health curricula. Supervision of students at school includes before school, recess and lunch breaks, and after school. However, parents are reminded that staff members are not rostered for duty until 8:00am each morning. Parents are discouraged from sending their children to school before this time. Staff members are also rostered to undertake supervision until 3:30pm each day. Parents are requested to ensure that their children have been collected or have left the school grounds by this time. Parents wishing their children to be at school outside the hours of teacher supervision provided may avail themselves of the fee-for-service arrangement of after- or before-school care provided by OSHC staff (Outside School Hours Care). 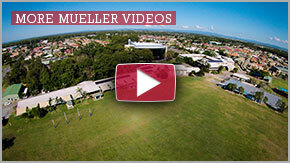 Mueller College recognises that protecting students from harm and the risk of harm is fundamental to maximising their personal and academic potential. For this reason the welfare and best interests of the children within our College will always be a primary consideration. We expect our students to show respect to our staff and volunteers and to comply with safe practices and we expect all employees to ensure that their behaviour towards and relationships with students reflect proper standards of care for students, and are not unlawful. The College will respond diligently to a report of suspected or actual harm, or risk of harm to a student. What does the College mean by harm? How does the College protect students from harm? The College has a comprehensive Child Protection Policy, which covers the actions to be taken if a member of staff or a parent of the College becomes aware or reasonably suspects that harm has been done to a student of the College by a member of staff, people outside the College or by other students. What should you do if you become aware or reasonably suspect that harm has been caused to a student of the College by a member of staff, someone outside of the College or by other students? You should report your concerns to the Head of College or Deputy Head of College or to any other College staff member. If you report your concerns to a member of staff other than the Head of College, the member of staff will report it to the Head of College immediately, or if the subject of the complaint is the Head of College then the member of staff will report to the Chairman of the College Board. What will the Head of College or the Chairman of the Board do? If the Head of College or Chairman of the Board receives a report of harm or suspected harm to a student of the College and he/she becomes aware of the harm having been caused or reasonably suspects the harm to have been caused then it will be reported to police immediately if the harm relates to sexual abuse; or to the Department of Child Safety if appropriate; or it may be dealt with internally if the matter does not require mandatory reporting to an outside body. Your report will be treated in a confidential manner and with respect. Knowledge of it will be limited to the Head of College and those directly involved. The Chairman of the College Board may also need to be informed. It is the College’s policy that confidentiality between the College and parents will be respected as much as possible and any concerns raised by parents will not rebound adversely on their children. Each person who has access to information regarding suspected or disclosed harm has an obligation to observe appropriate confidentiality. However, the College is unable to promise absolute confidentiality since the steps of the Policy will require disclosing, internally and externally, certain details involved in responding to the report. State authorities can compel people to give evidence about actions under the Policy and to produce documents. You would be fully informed if information you provided were to be passed on to a third party. Any action, which needed to be taken under staff disciplinary procedures as a result of an allegation not requiring police intervention, would be handled confidentially within the College. How will the College help my child? Ensure that each staff member understands and fulfils their obligations under this Policy and the Policy for reporting abuse. Ensure that there is an acceptable reference for each staff member engaged since the commencement of this protocol, from his or her previous employer. Ensure that each staff member and volunteer (who is not a parent) who has contact with children has a current positive suitability notice (‘Blue Card’) issued by the Commissioner for Children and Young People and Child Guardian. What should I do if I require more information? Mueller College is committed to the provision of educationally valid excursions as part of the school curriculum. Excursions will be prepared, managed, supervised and monitored in a way that seeks to ensure the health, safety and security of the participating students and staff, as well as others who may be affected by the conduct of an excursion.